I made my Loverbutt take me to The Dollar Tree to try and find some green candles and secretly check if they had any new Eyes Lips Face stuff. 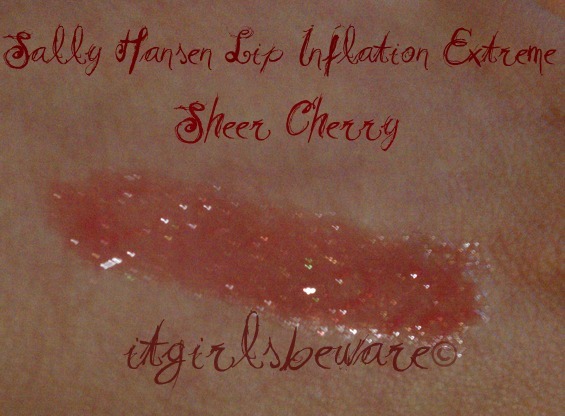 While browsing I got super excited cause I saw Sally Hansen's Lip Inflation Extreme lipgloss. Since I'm a fan of anything that is lip enhancing, sparkly, and a good deal I scooped it up and was ready to go. I really like the applicator it's more a lip brush pretty amazed that the brush hasn't gotten all messed up after using it a few times, it feels really delicate and nice on the lips. Like a lot of the lip plumping glosses out there it has the cinnamon taste and that tingling sensation. The color is really sheer red with a soft gold and red glitter which I love. 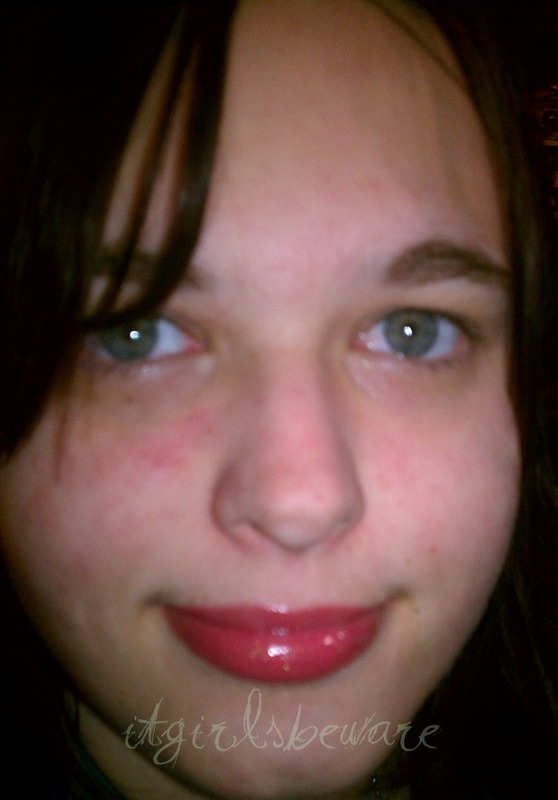 I adore how it feels on my lips, smooth yet has a lil stickiness to it. I have now found a red lipgloss that I love and the best part is that at full retail they are less than $10. I just may pick up another package and any other colors they might have at the local Dollar Tree.